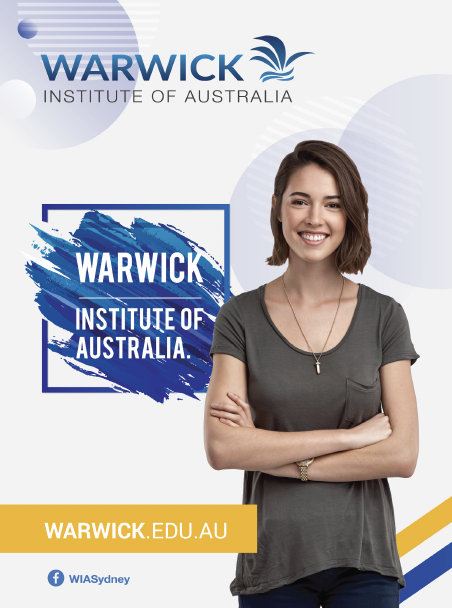 Warwick Institute of Australia is a progressive Registered Training Organisation (RTO), registered on the National Training Register, accredited by the Australian Skills Quality Authority (ASQA) and authorised to deliver Nationally Recognised Training within the Australian Qualifications Framework. We are also a member of the Australian Council for Private Education and Training (ACPET) and is listed on the Commonwealth Register for Institutions and Courses for Overseas Students (CRICOS). Language proficiency level; Intermediate; IELTS score of at least 5.0 (or equivalent). Language proficiency level; Upper Intermediate; IELTS score of at least 5.5 (or equivalent). If you do not meet the English requirement, you are still encouraged to apply. Depending on your English ability, we may request you to take an additional English course delivered by one of TEGA English schools prior to commencement of your study at Warwick Institution of Australia (WIA).